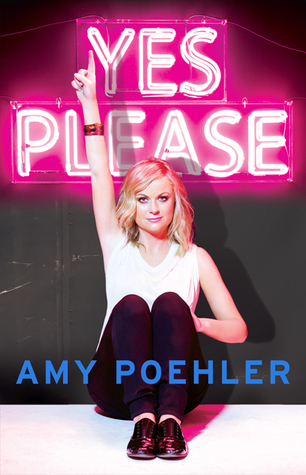 I took a much-needed break from Outlander-ing last week to enjoy Amy Poehler’s Yes Please for a second time — this time on audiobook. I’m happy to say it’s still a great book, and the audio version was a lot of fun. That’s a really long quote, but it’s my favorite from the whole book. I did enjoy the parts where Poehler joked around, and had Seth Meyer edit her stories, and made fun of herself and her friends. But her really down-to-earth and honest stories hit me really hard. This book is brave — she reveals a lot about her personal life while also managing to keep certain things private. Her advice on keeping the demon of low self esteem away was wonderful. I highly recommend the audio version. She sounds like she’s having a blast. At various points, Kathleen Turner, Ian McKellen and Carol Burnett read chapter titles. Her parents read a chapter. And Seth Meyers joins her to make snarky comments for a bit. It just makes it even more fun. Share the post "“That is the motto women should constantly repeat over and over again. Good for her! Not for me.”"
What a fantastic quote! This has been on my list for a while, but I think that lovely bit of writing sold me.